The author of a best-selling biography of Diego Maradona, and similarly widely acclaimed books on FC Barcelona and Real Madrid, digs deep into the roots of the most popular sport, to look at how football played in Spain became the most admired in the world. From its early beginnings when the first football on the shores of Bilbao and Buenos Aires was played by British sailors and engineers, through to the influx of South American stars, and similarly inspirational Italians, Dutchman and Scandinavians, the author shows how the engagement of foreigners with home-grown Spanish talent overcame political adversity and produced football of sublime skill, passion, and unparalleled entertainment value. The book takes us on a journey through some of the extraordinary characters, games, and moments that have defined Spanish football from the early days when a few enthusiasts developed their talent kicking a ball around on a piece of industrial waste-ground or beach, to the emergence of rival giants, FC Barcelona and Real Madrid - the most powerful and successful football clubs in the world - and a national team that, encompassing all that was most brilliant in the Spanish League, became the World Champions. 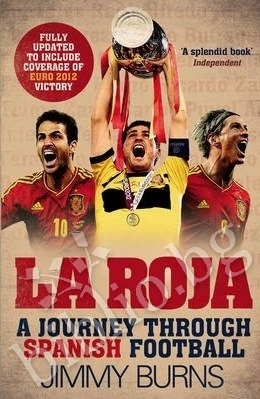 Благодарим Ви, че решихте да споделите с нас вашето мнение за "La Roja: A Journey Through Spanish Football".